Great design leads to great projects and our Design Consultants at Agua Pools will take the time necessary to design the project to your needs and specifications. After contacting Agua Pools, one of our Design Consultants will schedule a site meeting to make sure that the shape and size of your desired pool and outdoor space will fit within the space available and follow municipal zoning restrictions. During the consultation, we will take measurements of the yard along with elevations as needed. We will discuss the style of pools (free-form, geometric, contemporary, or traditional) along with our construction techniques. We will consider and advise you as to pool placement, privacy issues, landscape, fire features, and decking options. Material discussion is a crucial step as well, since items like pavers, travertine decking, glass tile, pebble finishes, fire features, and water features will affect the design and cost of your custom pool. We will go over your objectives and the features you would like to incorporate while discussing items like salt systems, LED lighting, superior circulation, variable speed pumps, and automation. We will suggest labor saving equipment like the salt system and automatic cleaners to reduce maintenance. We will then integrate the features and options you desire into your custom design package. After our initial home visit, we will take the information gathered and create a comprehensive layout of the project. This process may take a few days depending on the scale of your design. Once the initial design is complete we will either email or deliver your design and projected costs for evaluation. At this point we will work with you to finalize the design and features. Once we are on the right track with the design and costs, we will present you with a contract proposal. We build the finest Gunite pools in the industry. 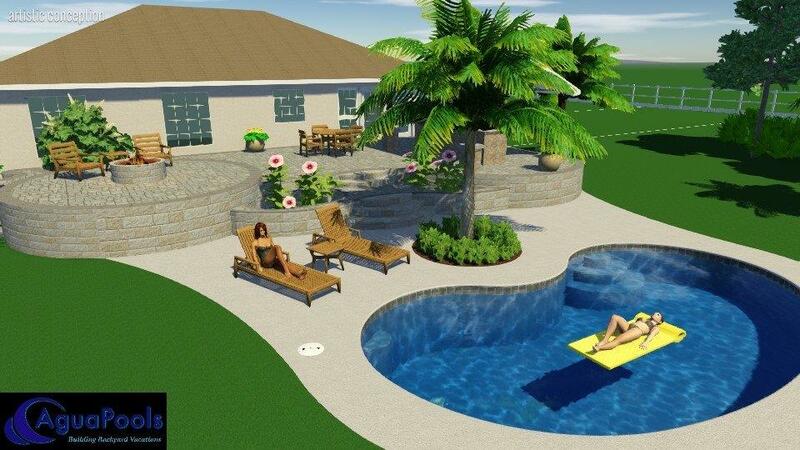 A Gunite pool is not only the most desirable type of pool you can purchase, they also offer the most flexibility in design due to the handcrafted nature of their construction. 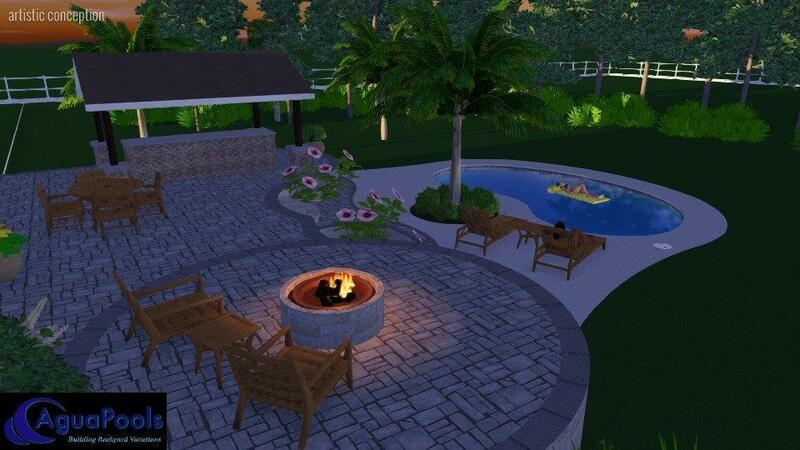 You can select a design that mimics and fits your landscape or create a brand-new vista in your backyard. This means the right size and perfect shape can be coordinated to your design tastes. The finishes on a Gunite swimming pool also provide the largest variety or color and material. From large aggregate finishes, tumbled glass or fine polished plaster there are many beautiful options that can be coordinated and incorporated into your custom swimming pool. Because Gunite pool construction offers an almost unlimited number of design choices, the sky really is the limit when it comes to amenities on your swimming pool. Beyond size, shape and depth, our Gunite pools can be modified with barstools, benches, tanning ledges and waterfalls. The flexibility of the material means we can customize your swimming pool to your specific taste and budget. We look forward to designing your unique project and inspiring space! We would love to hear from you and hope you will give us the opportunity to show you how we will build your dream pool and spa!